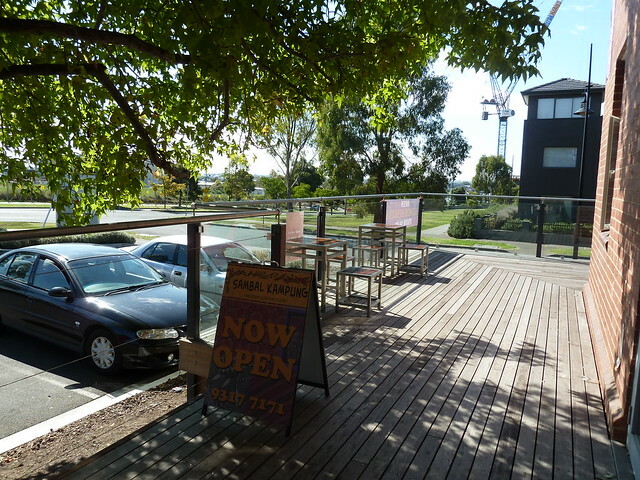 I confess, when I first saw the beginnings of Sambal Kampung at the edge of the Edgewater estate in Maribyrnong, I didn't get my hopes up. 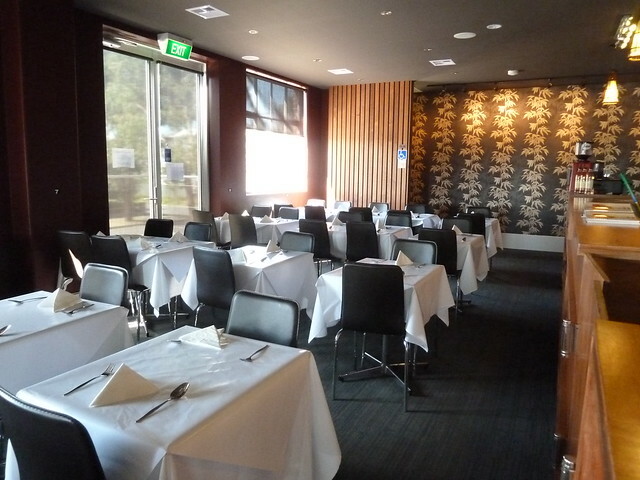 Of course there are exceptions, but it seems the further restaurants take up digs from their cultural epicentre (Vietnamese, Footscray/Richmond/Springvale; Malaysian, city or maybe Flemington; Thai...Sydney?) the less likely they are to be impressive. It's often a case of trying to anticipate the tastes of the local residents, usually meaning leaving out the really authentic touches and/or chilli in favour of more "friendly" flavours. All too often it ends up being like one of those awkward dances you get into when trying to pass someone in a tight corridor - you step left, they step right, so you step right, they step left, til you end up bumping chests. In trying to second-guess the other party's move, you get it wrong. 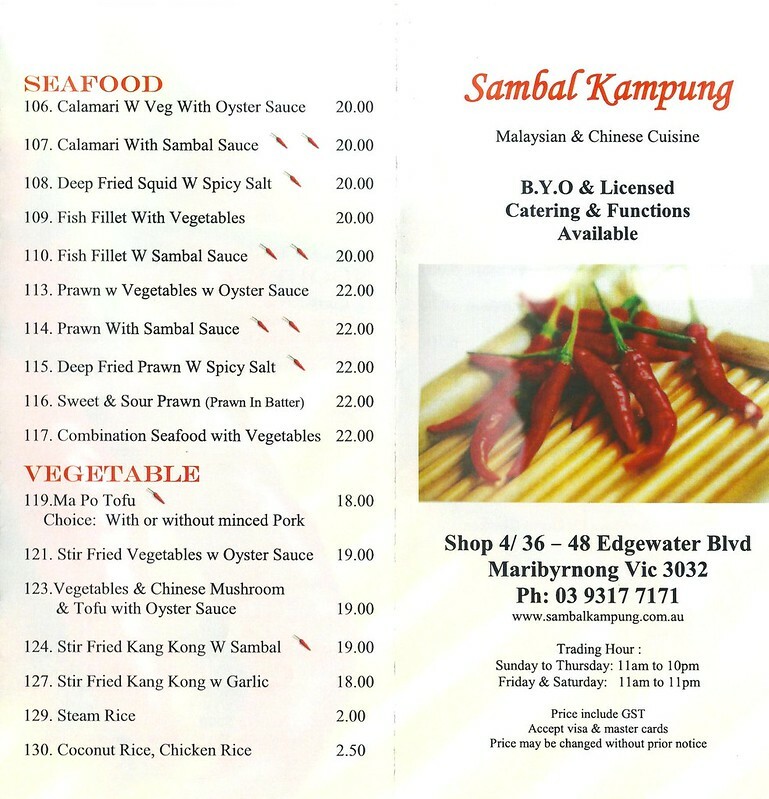 Sambal Kampung already has a branch in Little Bourke Street. I was chatting about it with Jo and Bryan, and Jo said the fried rice was "quite nice". If you don't know Jo, this is like me saying, "Oh my god, I ate that fried rice and fireworks went off in my mouth. I saw stars - it was the best fried rice of my life!" Kidding - I love Jo, because if she says it's good, you know it's bloody amazing. So my interest was piqued. Inside is quite classy, while outside there are some simple boxy table settings which would be quite delightful to perch on if these autumnal evenings can keep up. 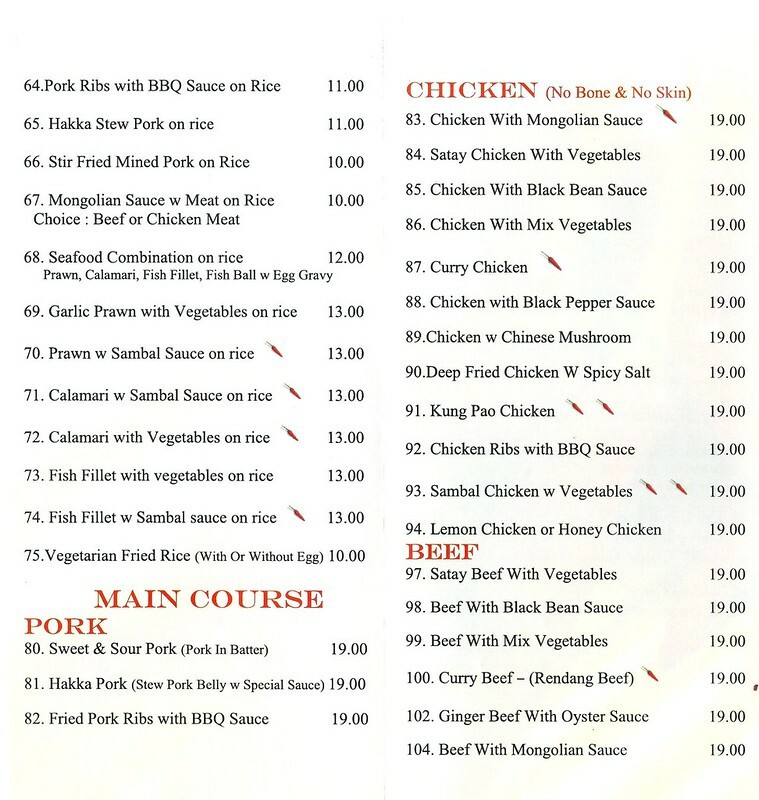 The menu (see takeaway version below) has lots of hawker classics, as well as standard Chinese takeaway options. They're licensed and even have a full-page cocktail menu. This beef rendang was awesome. Big chunks of beef, evidently slow cooked over many hours so the chunks just peeled apart to the touch of a fork. The rendang sauce was thick and delicious with warm spices like cinnamon and plenty of chilli too. There were even some whole petals of star anise, which I hope means it was made from scratch - it certainly tasted like it. Roti were good with a crackly shell and delicate tissue paper-like interior. 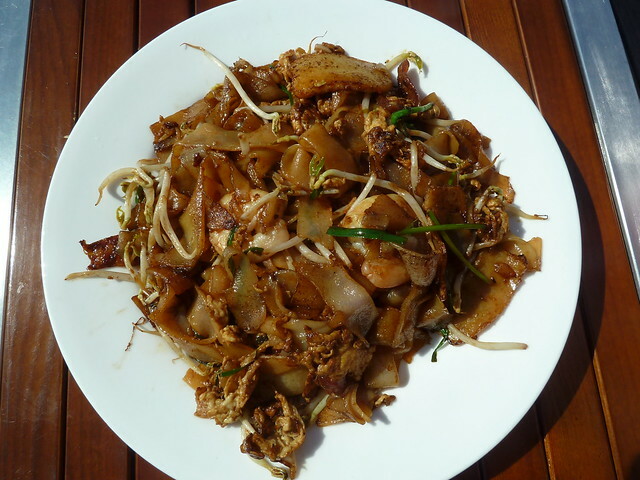 Great char kway teow, with al dente fresh rice noodles licked with just a little sweet soy. I think of this as Malaysian burger night, in a way - there are only token vegies but that's OK once in a while, especially when it tastes this good. Fish cake, big prawns (only two) and sweet Chinese sausage were tangled throughout, along with a smattering of bean shoots and garlic chives. It was hot, smoky and so yummy. What a delightful surprise! This might have been a lucky combo - Temasek has checked them out twice and had a couple of misses with the hits. But at least on this visit, there was no awkward "but we thought you didn't like spice in the suburbs" corridor collision...more like a chest bump of "yeah baby!" proportions. I wonder how the chicken ribs with spicy slat on rice is! 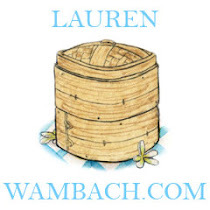 Thanks for the link out Lauren!! Sounds like we share the same opinion about this joint. I'd actually rather go here than Laksa King et al ... if only just to have the Ikan Bilis which I've recently found out is done in the Hokkien style, and incidentally is my new thing!! Also, I saw those Prima Instant Noodles in a shop in Richmond, so you can get them here now! Aha, interesting! I get the feeling they're aiming high - I was prepared for the curry to be just dry chunks in an oily sauce, but it was quite delicious. Certainly worth further visits. I saw you tried Kari Leaf and it was crap? Darn, because Gurney Drive was good (although a bit unreliable I heard). 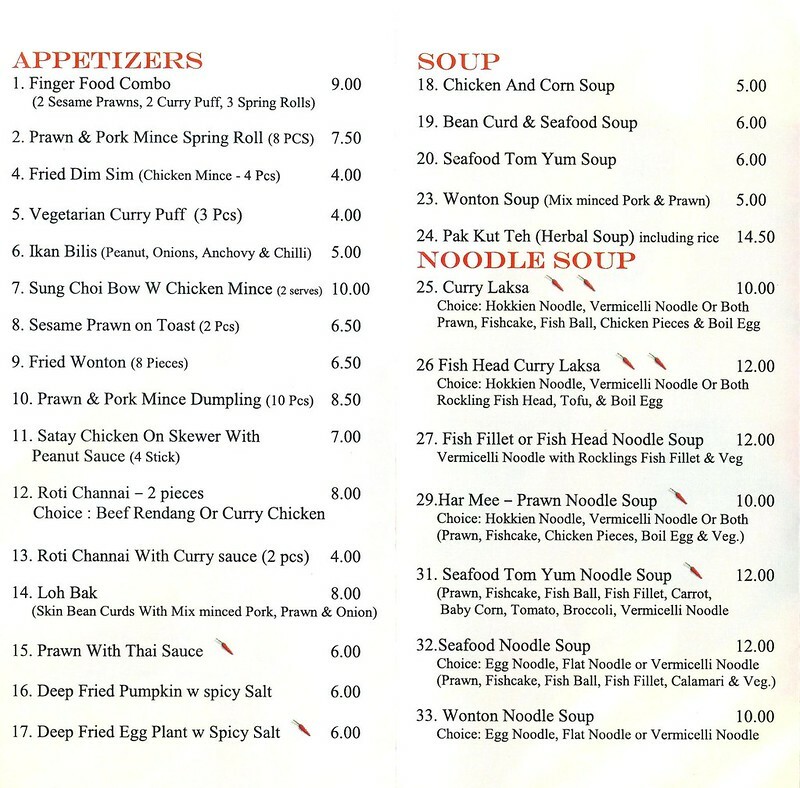 Ooh, I must go on a Prima noodle hunt. Glad you liked it. It's one of our favourite joints now due to convenience as it's literally just around the corner from our place. The kwe tiaw and mee goreng are very good. The Thai restaurant a few door down is also very good according to my mrs and her girlfriends but I haven't had the chance to try that one myself. G'day Wills! 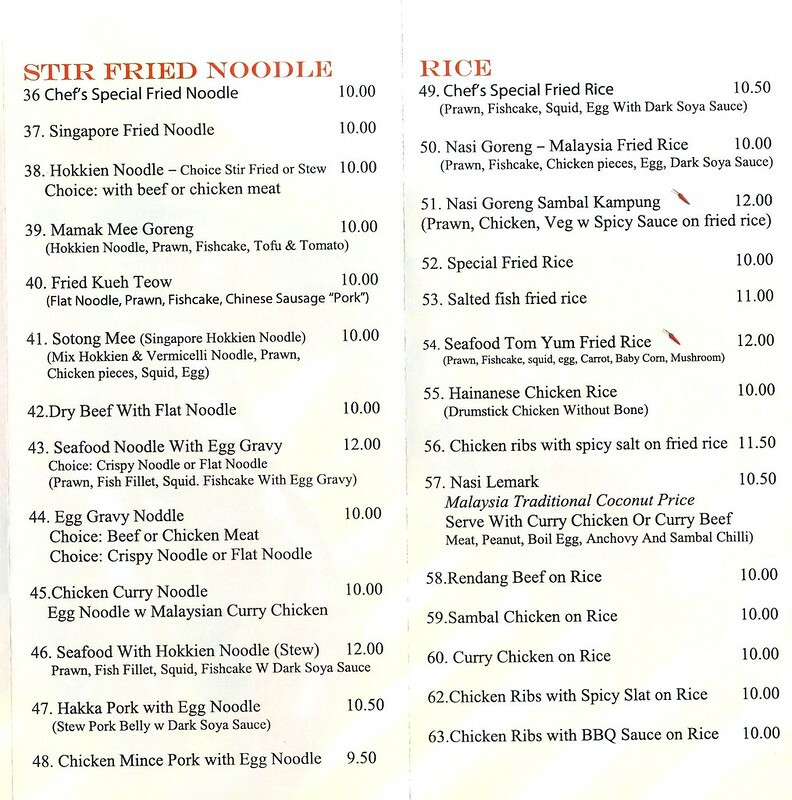 I was sure you guys would be all over it already ;) Ooh, I will have to try the mee goreng. Yes, I've heard Thai Thonglor are good but still not had the opportunity to try...maybe one day soon. Love how candid and funny this post is! Ahhh the bit about Jo is so true, she is so strict w M'sian/S'porean food, hahahahah!!! Also really like your metaphorical (but probably accurate) take on how Asian restaurants tweak their menu for local residents, just like side stepping on the corridor indeed! The roti channai with the beef redang looks amazing. Worth eating there just for that dish I think. I may check out the CBD version since it is closer to home! Oh dear! I feel like a asian food nazi now! I've only been to Sambal Kampung once though (for that fried rice), need to go back and try more dishes! Not at all! You have high standards which I respect, don't be apologetic! Mmmm mee goreng one of my favs. It always surprises me how big a difference there is between resturants. Please tell us next time how their's is. Love the tight corridor analogy Lauren! Just moved into the area over the weekend and saw this post. Decided to check out this place since I was just around the corner from it. Ordered the Roti Channai with Beef Rendang. So good. Thank you. 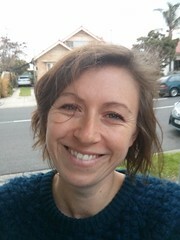 Hi Lauren, took the family on the weekend. Judged to be worth a repeat visit by the laksa nazis in our group. The tom yum soup was insipid on the night. 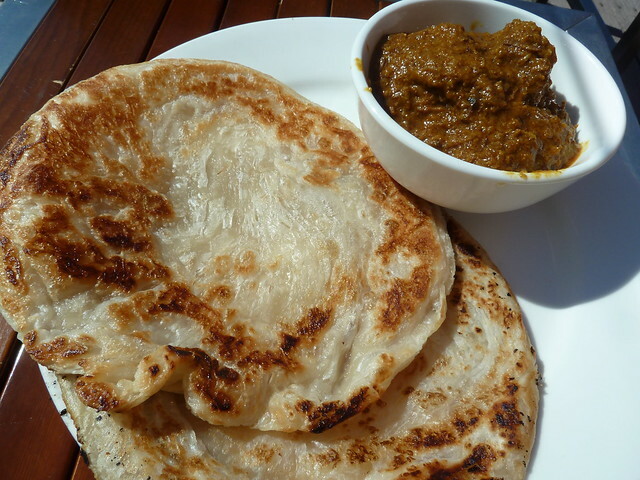 I stuck to your photos, roti and rendang and kueh teow as they are favourites and was not disappointed. 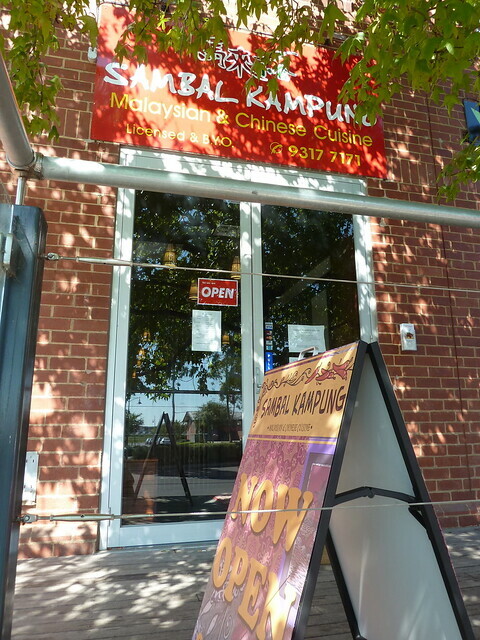 Sambal Kampung is a great find a little outside our usual feeding grounds. Thanks for the heads-up. Oh, "laksa nazis" made me laugh! Great to hear Andrew and it's my pleasure. Absolutely agree that the beef rendang made at Sambal Kampung is awesome. I've trekked through Sumatra, eating the authentic Minangkabau rendang daging (dry version) as well as the kalio (wet version) and I regularly eat Malaysian rendangs when visiting the in-laws in Langkawi. With this rich experience of rendangs, I rate this one very highly. Wow Craig, that's quite an endorsement! I'm glad to hear it gets the thumbs up - I'm so jealous of your many rendangs! Hope this Malaysian is going strong in September when I am next in Melbourne....After 3 years living in Singapore and now residing in London I miss Roti Channai and Malaysian Flavours. Asian food in Melbourne is fabulous, always have Vietnamese numerous times whilst on my annual sojourn "home". Good on you Lauren for making a career out of your love for the West and its flavours. Hi Kerri - thanks so much for your kind comment! Aren't we so lucky to have such diversity of Asian food here in Melbourne. You must try Mamak, which is a newish place in the city - they make their roti on the spot and it's amazing! Hi piglet - I would give them a call and ask as I'm not quite sure unfortunately. Today I went there to eat lunch and I met Abdullah Ahmad Badawi!! He was Malaysia's prime minister before!